I've said it before, and I'll say it again. Spelling is a tricky area for us. Madison reads well, comprehends well, and enjoys reading. Her strength is "whole language". She's intuitive with a good memory and although she hated every moment of phonics, she flew through the programs because of those other skills. However, phonics is still key. Realistically, she spells and writes . . . less well. We found a literature program we love, but it is definitely the reading/understanding/grammar/vocabulary side of language arts. There is no phonics and no spelling, and we need to get that part in. We've played around and had varying success with different programs, but I wouldn't say we have found that perfect fit yet. We got a chance to try Memoria Press last year when we experimented with Latin, so I was definitely up for trying the classical approach to spelling. 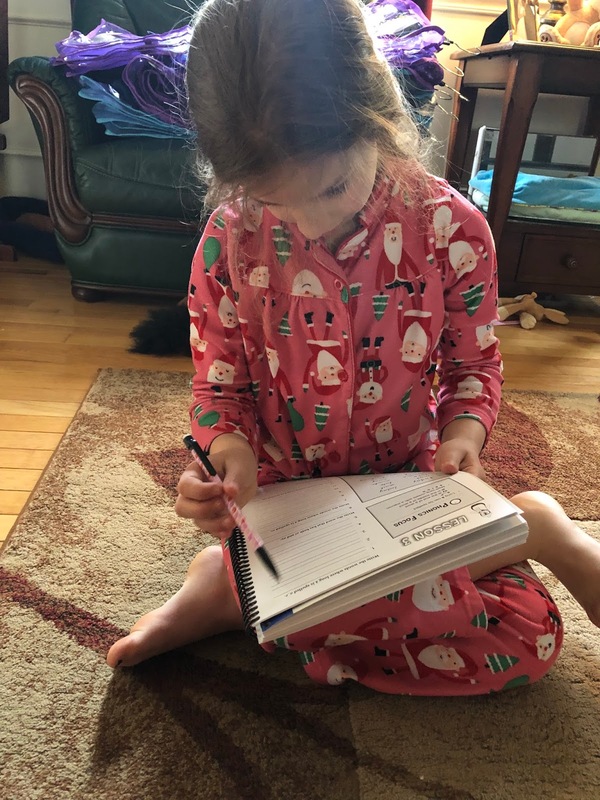 So far, Madison enjoys her spelling lessons with Traditional Spelling II from Memoria Press. The question I always have now is, "what level?" All homeschoolers eventually learn that grade levels are fluid and it can take some experimenting to find the right fit. Madison is about three quarters of the way through second grade. Traditional Spelling I is intended for grade level first graders coming directly out of Kindergarten. 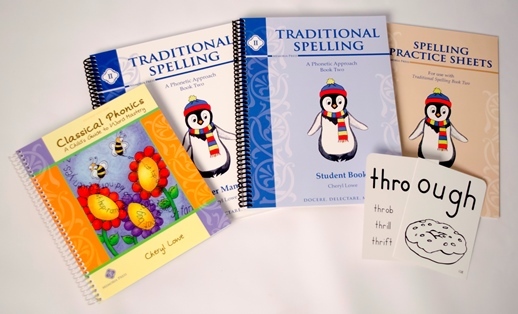 Traditional Spelling II is geared for 2nd and 3rd graders already on the road to mastering phonetic skills. We went with Traditional Spelling II since Madison is definitely beyond the first grade phonics stage, even though I wouldn't call her a strong speller for her grade. This was a good fit. She had the tools. 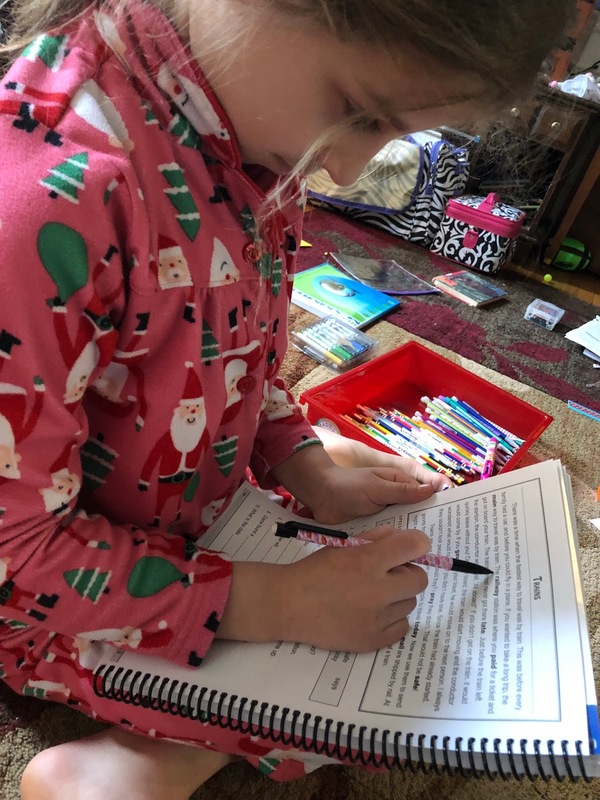 The set we received included a teacher's manual, a student book, practice sheets, Phonics Flashcards and Classical Phonics, a book of phonetically arranged word lists. There are 34 lessons, each of which can be easily split into four days (perfect for our four day weeks). We started at the beginning with Lesson 1 where she was introduced to a list of words by categorizing them by a particular phonetic component, such as words that end in -ly or begins with a consonant blend (very similar to the word sorts we use with another program, which made this transition easy). The next section requires the student to color code each part of the words to reinforce the phonetic components. Each lesson continues in the same way, with the following page being some kind of at-level reading that includes several of the lesson's words in it. Following that is a section of fill in the blank using list words. The final activity is dictation that includes all words and a final sentence (which we used as a spelling "test"). This curriculum had a lot of pieces I knew I'd like, and I was generally very happy. I liked the set up, where different patterns were introduced together. I also appreciated the reading section and fill in the blank section that truly gave the words a context, something that is easily left out in spelling. Our favorite spelling curriculums so far have been the ones where the students are really manipulating the words, looking for patterns and learning how to apply what they know to what they don't. The passages incorporating the words were one of my favorite parts. It was also not an overwhelming amount of writing or copywork. Madison will do those things, as she's generally pretty obedient, but I also know when she is totally vegging out while writing. She could copy a list of words three times each, but immediately afterward would have absolutely no memory of what she'd written. She wasn't absorbing a thing. Because of how the written work is set up, the students can't let their minds wander. They have to think as they write. But since it's less actual writing, Madison was totally up for it. It looked shorter than what she was used to. I have to admit, in our few weeks, we didn't really use the Classical Phonics book or flashcards all that much. They were more a reference tool that we referred to occasionally. I think that I could probably brainstorm a better way to use the flashcards that will work for us. At any rate, I am glad we have them, and that they were included in the set. Overall, I think this will be a good thing for us to continue to use this year and to carry over to the beginning of third grade. I'm looking forward to reading some of the other reviews, especially of Traditional Spelling I. Next year, I'll have a first grader, and I do want to make sure we're getting that spelling addressed right from the start.